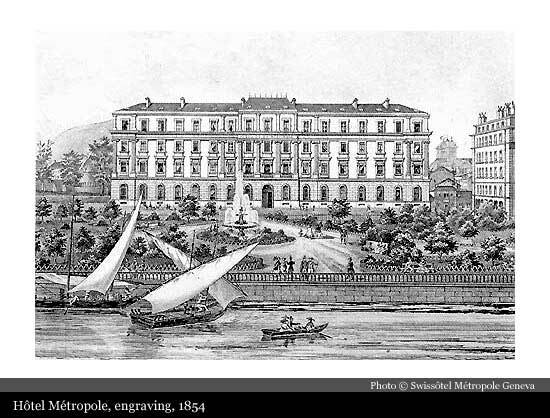 Hotel Métropole was constructed between 1854 and 1855 on the site of ancient fortifications and according to the design of Geneva architect Joseph Collart. The interior of the hotel was symmetrically arranged according to the main stairwell. 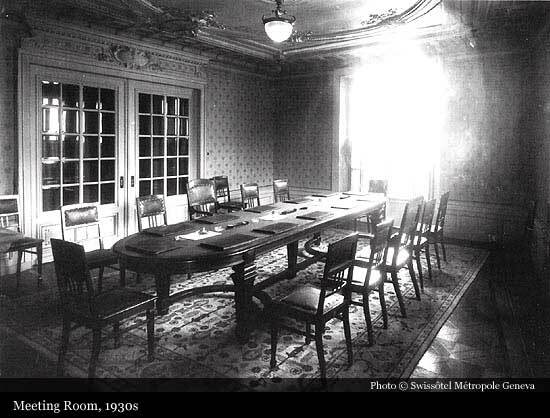 The ground floor featured foyer, the reading room, and the billiard room serves as a smoking room overlooking the Quay. 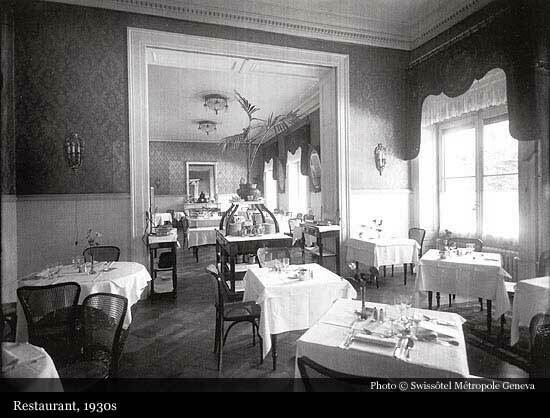 The dining room, also used as a concert room or a ballroom, was situated on the Eastern Side of the building. A series of rooms could be linked to make an apartment located on the West Side and the ground floor. The upper floors included apartments and antechambers, and the last floor with attic rooms contained the personnel quarters. 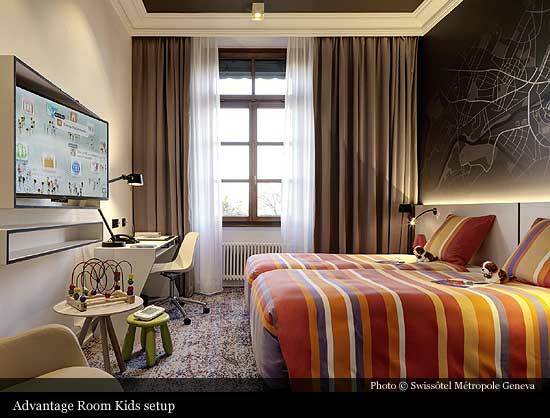 Among the hotel’s early guests are many well-known personalities such as Richard Wagner, Hector Berlioz, Frantz Liszt, Queen Isabelle II of Spain King Edward VII and the Duke of Brunswick. In 1922, the Administrator Council of the City of Geneva considers buying the building to turn it into municipal offices but the deal does not go through. In 1940 - The International Committee of the Red Cross finds itself with the huge task of processing and storing the records of millions of war prisoners and appeals to the Administrative Council to put the Hotel Métropole at its disposal without charge as a humanitarian act. 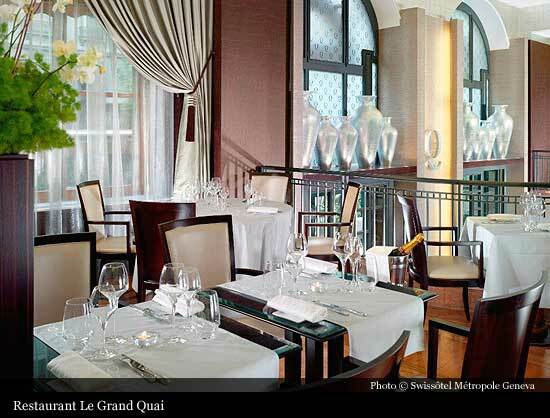 The Council agrees and negotiates a price of 1million Swiss francs with the owners. During the remainder of the war, the hotel is used for record keeping and also for storage of parcels of food and other goods to be dispatched to war victims. The Municipal Council agrees to buy the Hotel Métropole on 28 November 1941. The CICR continues to use the hotel facilities for its activities until the end of the war. With the end of hostilities and the return to the city of a number of international organisations, Geneva finds itself with insufficient hotel space and so the cantonal government buys the Hotel Carlton to put at the disposition of the CICR which vacates the Hotel Métropole, thus enabling it to return to its intended purpose as a hotel. On 25 March 1947, a new proposition is put before the Municipal Council to borrow 482,000 Swiss francs for provisional remodelling and refurbishing. The newly renovated hotel reopens its door on 16 June 1947 featuring 170 beds. 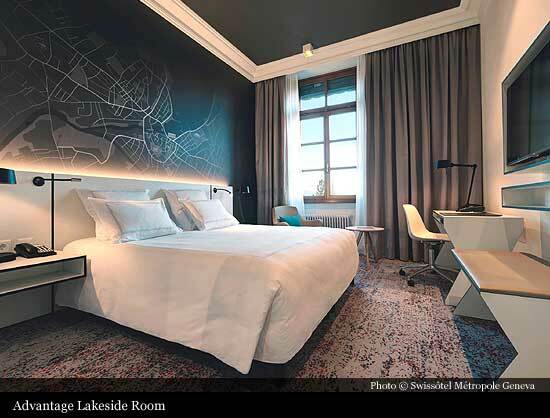 The direct management of the hotel by the City of Geneva enabled it to organise important international conferences there such as the Asian Conference held in 1954 and the Meeting of the Big Four in 1955. In 1954, the hotel is again renovated. Nevertheless, the exterior of the building is progressively deteriorating and it becomes essential to face the necessity of totally rebuilding. Between 1968 and 1972, the alarming decay of the entire building, interior as well as exterior, leads the security section of the Department of public works to make several inspections. It becomes obvious that the only sensible solution is the demolition and reconstruction of the Hotel Métropole. In December 1972, the City of Geneva files a request for authorisation to demolish the existing structure and rebuild but the request is turned down by the Department of public works on the grounds that the form and height of the proposed structure is not conform to zoning regulations. 27 February 1974 - By decree of the cantonal government the matter is referred back to the Department of public works for a new decision and approval for reconstruction of the hotel is finally granted. 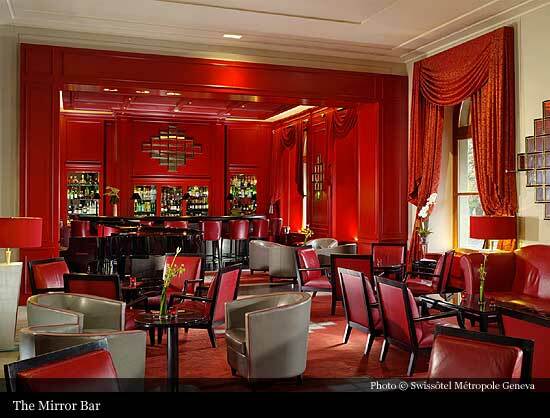 On 31 December 1975 - The cantonal authorities orders the City of Geneva to close the hotel. However, the action is delayed until 31 May 1976 in order to allow relocation of the personal. 27 April 1976 -The Administrative Council offers the Municipal Council a credit for 38 million Swiss francs for the demolition and reconstruction of the Hotel Métropole. 13 February 1977 – The Municipal Council approves the credit in September 1976 but the decision immediately becomes the object of a popular referendum and is voted down in a municipal election (14’198 No against 5’763 Yes.) The Hotel Métropole will not be demolished. 31 January 1978 - The Restoration of the building remains the only alternative and the Municipal council accepts a proposal of the Administrative Council to borrow 21,5 million Swiss francs for this purpose. Only the original outside walls are preserved, the interior of the building is entirely redesigned. The Administrative Council approves an additional credit of 13 million Swiss francs in 1981 in order to design two additional conference rooms on the upper floor and to improve the quality of the equipments. Renovation work is completed in November 1982 and the official inauguration takes place on the 22nd of that month. 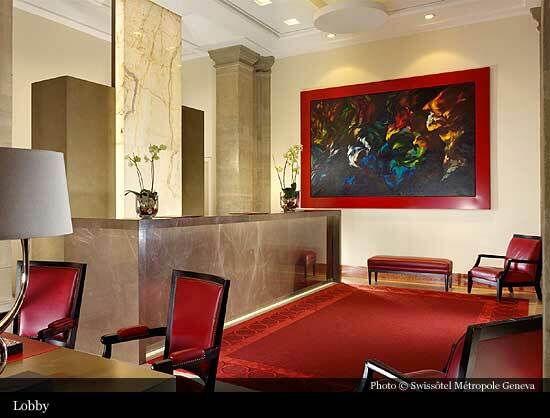 From 1982 to 1997 - The Hotel Métropole experiences a period of prosperity throughout 1991. 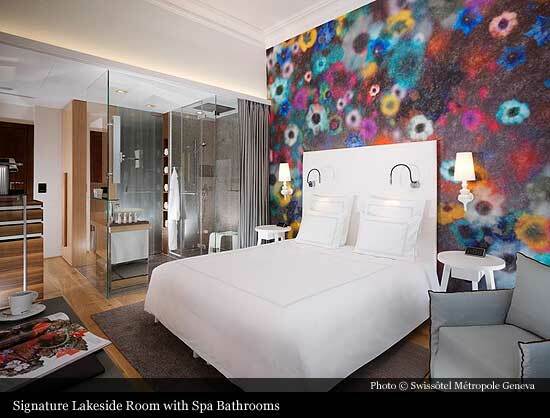 From 1991 to 1997, the European economic recession affects the Hotel Métropole, as well as all luxury hotels in Geneva. 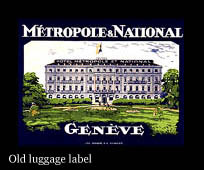 On April 1st, 1998, the Hotel Métropole became Swissôtel Geneva Métropole. 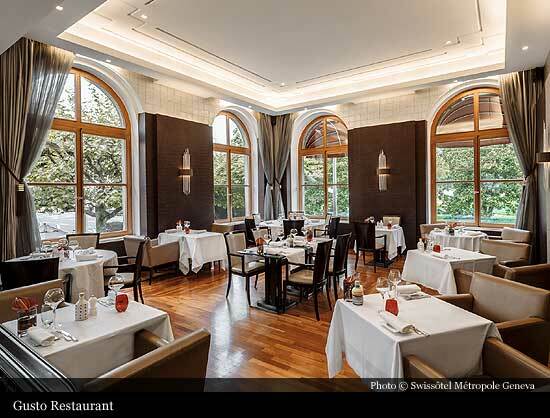 At the dawn of its 150th anniversary in 2004, the Swissôtel Métropole Geneva completes its renovation program and recovers a new lease of life. 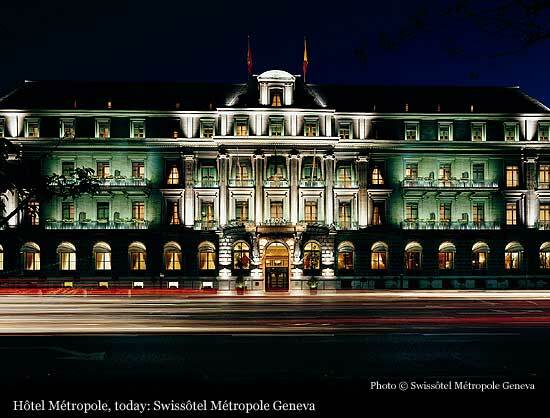 On November 25th 2004 - Swissôtel Métropole Geneva celebrates its 150 years.